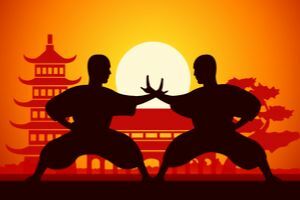 Are you someone that loves the martial arts? Do you think you know everything there is to know about the topic? Find out by taking this quick and easy quiz! All of these questions are going to be about martial arts. They might surround the history or current happenings. Test your knowledge right now but choose carefully because there's only one right answer! There is a lot more that goes into martial arts than what you think when you watch it. Go deeper and find out how much you really know about the topic by taking this quiz right now!